Eb Eberlein lives in a small cabin somewhere in the Mountains of central Arizona. The forest there provides plenty of solitude. 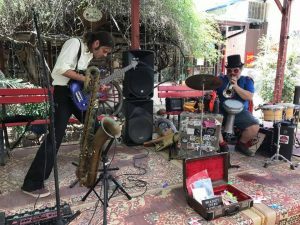 He also spends a good deal of time in Tucson with friends and family. 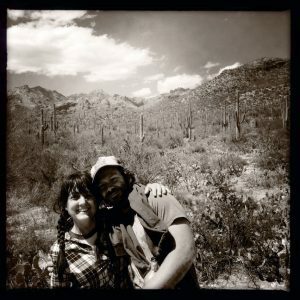 He is the producer and host of Arizona Trails, a mini show about being outdoors in Arizona on KXCI 91,3 FM community radio. 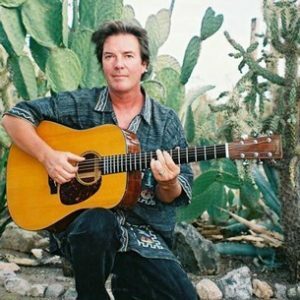 His songwriting is rooted in personal experience, a love of Nature and the nature of love. His first two CD releases, Voice in the Wilderness (1995) and Plain Green Wrapper (Eb’s Camp Cookin'” 2005) are out of print and collector’s items. As of 2017 he is working on his new project tentatively titled “Solitude/Community”. His live shows emphasize spontaneity. He frequently ignores the set list depending on the mood and vibe of the audience. 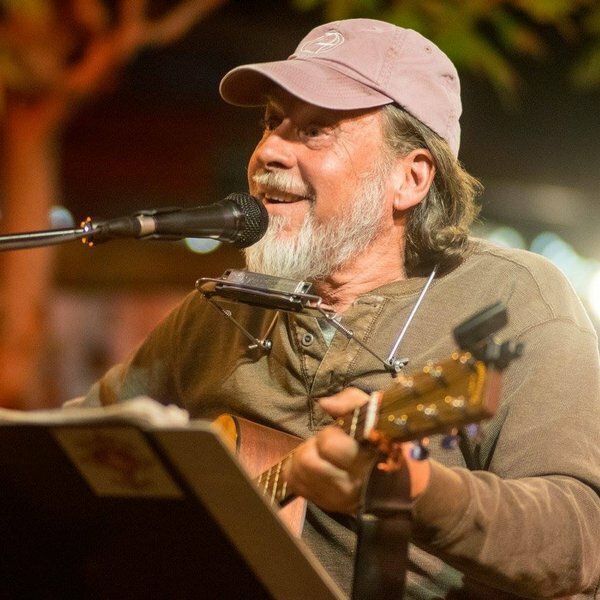 an active participant and organizer of the Tucson Folk festival for over 30 years, he has shared the stage with many notable songwriters and refuses to do the name dropping thing. Eb also writes poetry which does not get set to music and is especially fond of the haiku form.